Our hosted stay was sponsored by HomeAway. All opinions in this HomeAway review are our own. When it comes to “dream vacations,” some people have specific locations in mind. They care about their destination only and spend their time daydreaming about the sightseeing they’re going to do and couldn’t care less about their accommodations. If a trip to a beautiful city requires a cramped room, so be it! For me, wonderful accommodations are part of the vacation experience. It’s especially important for longer vacations. I want to have a comfortable home base I can come back to at night after a fun (and sometimes exhausting) day exploring the sights. That’s why I’m a huge fan of vacation rentals. Hotels are great, but sometimes it’s nice to stay in a larger location where we can all sprawl out and get comfortable. Traveling away from home inherently takes you away from home… but that doesn’t mean you shouldn’t enjoy the comforts of home on a trip! Recently, I had the exciting opportunity to spend five nights in the city that never sleeps, New York City, with my 15-year-old daughter and her friend. It was the perfect girl’s trip, and we did it in the way I love most — in a vacation home! Our NYC vacation rental had a full kitchen (complete with stainless steel appliances), high ceilings (it didn’t feel cramped in the slightest), two bedrooms with Queen-sized beds, two full bathrooms, a washer/dryer, and the best part: a beautiful private patio, perfect for outdoor dining in the warmer months. We were in the perfect location to get out and walk. And, if you have ever been to New York City, you know that the city might as well be synonymous with walking. It’s one of the things we love so much about it. It is so easy to get to everything in the city, either my walking, subway, taxis or any other number of car services that are now available. From the Lower East Side, otherwise known as LES…or more specifically Alphabet City, which is the part of the LES that we stayed in, the girls walked to Union Square and the famed Strand bookstore. Of course, they also stopped for an iced coffee along the way, and I met up with them later for crazy milkshakes at Black Tap after I finished up my tour at the Lower East Side Tenement Museum, both of which I’d highly recommend. 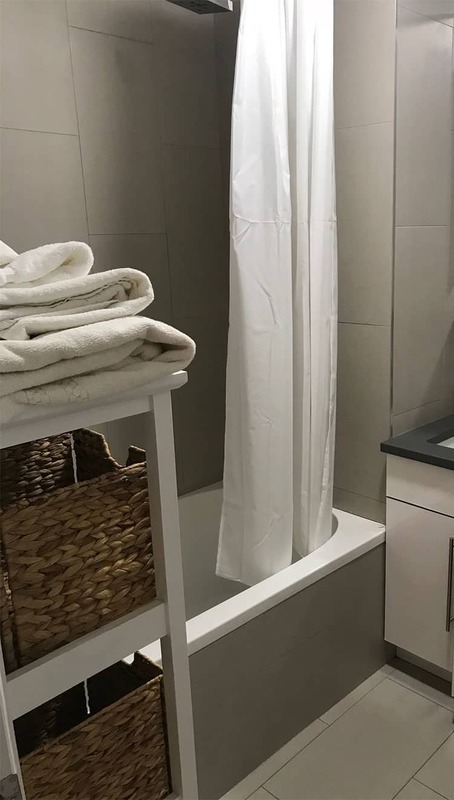 We kept busy for much of our trip, using our HomeAway vacation rental as a comfortable home base to take in the sights and sounds of the city and the perfect place to kick up our feet at the end of the day…or even soak in the tub after a long day of walking. After ice skating at Bryant Park (in the rain), we took the subway to Herald Square and went shopping at Macy’s, where we also grabbed a burger. It was our first day in the city, and we weren’t about to waste a minute! To end a long day wandering around the city, we saw a comedy show performance in Greenwich Village where our table companions were just as much fun as the comedians performing and grabbed a car back to the apartment at the end of a late night. We walked to Panna II India Restaurant on 1st Avenue but ended up eating at Milon, which is right next to Panna II. Both restaurants are highly rated and have amazing energy. Our dinner at Milon was startling, entertaining, and a great taste of the city…both for the cuisine and the clientele. Bring cash, be prepared to duck down under the lights and squeeze in between the tables and keep in mind it is also a BYOB establishment. After taking in a dinner theater show at Truffles, we headed over to the Green Room 42 to catch a performance put on by the waitstaff, and were treated to an amazing rendition of Broadway musical songs by Sondheim. We found out about that show through the TodayTix app…otherwise we never would have known about it. It was one of the best performances that we saw during our trip. We wandered down to Little Italy for some souvenir shopping and China Town for the Lunar New Year Celebration. We found a delicious Vietnamese Pho restaurant and ducked into a few Chinese bakeries on a mission to find my daughters favorite chocolate sponge cake. On our final day, we headed up to the top of the Empire State Building, and then caught a ride over to Rockefeller Center to wander around. We visited St. Patrick’s Cathedral and then the girls and I went our separate way with plans to meet up for dinner. The girls wandered around Central Park and the Upper East Side while I strolled through the MET. Later, I took a walk through Central Park coming out at Columbus Circle and then walking down to near Times Square where I met up with the girls. There is so much more to do in New York City than to just see the traditional tourist attractions. Don’t get me wrong…those are definitely worth a visit, especially for first-timers. However, my daughter and I have been taking annual trips to NYC since she was ten, and we’ve taken a few family trips to the city as well. When we go to the city it’s so we can get a chance to live and breathe the spirit and vitality we feel every time we’re there. There’s nothing like it. 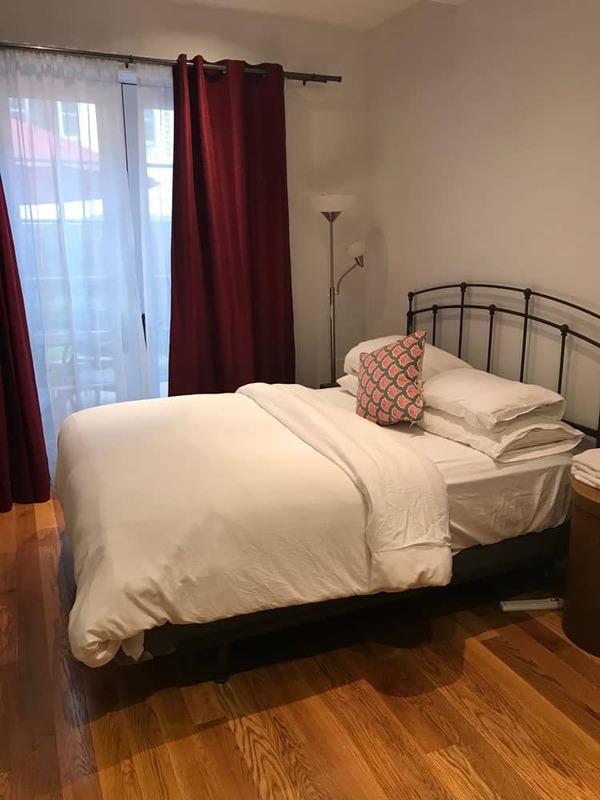 As you can imagine from the title of this post (“HomeAway Review”), we booked this adorable NYC vacation rental through HomeAway, the world’s leading vacation rental site. It was a breeze to do and so convenient! We absolutely LOVED the size of this vacation rental, as well as the layout. It was in a secure building, with a door code to get in to the building and a door that locked automatically after entering. We felt safe the entire time we were there, from the rental to the neighborhood. 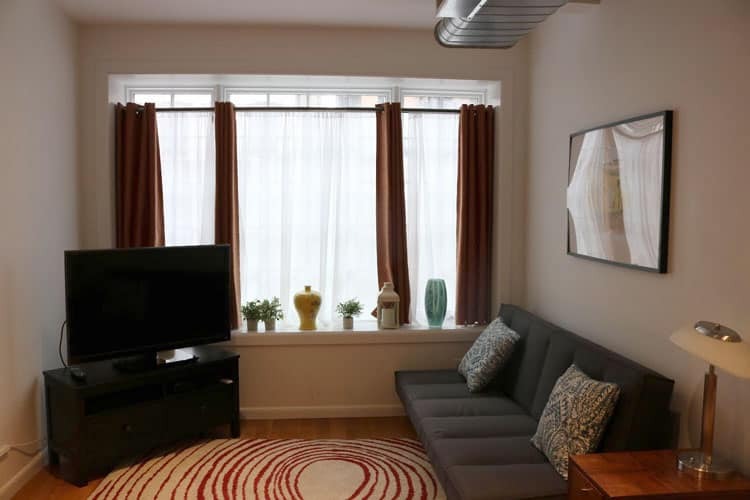 The process to rent through HomeAway is really easy, and the management companies and/or vacation home owners that we’ve been in contact with have all been really responsive. The location of this rental specifically was perfect for us. We’ve been to NYC many times, but staying in an apartment gave us a whole new living-in-the-city experience. We had never done much exploring in the LES, and were able to enjoy restaurants and activites that we would have missed if we had been staying in a different part of the city. Thank you for reading my HomeAway review. 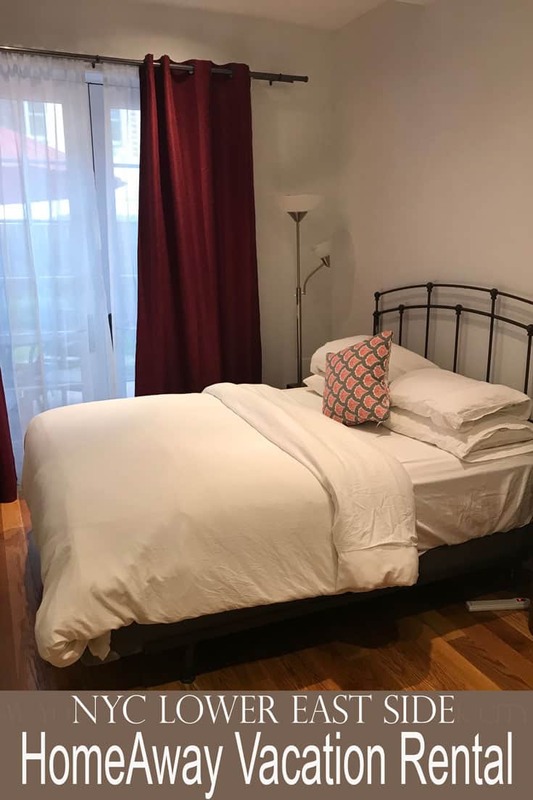 We had a wonderful time on our trip, and I highly recommend using HomeAway for your next vacation rental in New York City, or wherever else your next adventure takes you. I know I’ll be using them again!